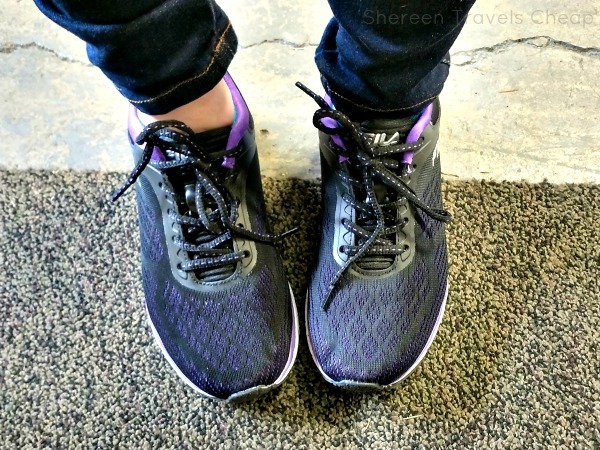 As a frequent traveler, and frequent buyer of new travel shoes, I am not a stranger to blisters. Let me tell you, getting a blister from walking all day makes walking all day like torture. It's the worst when all you can think about is how terrible your feet feel and wish you could just cut them off and get new ones. 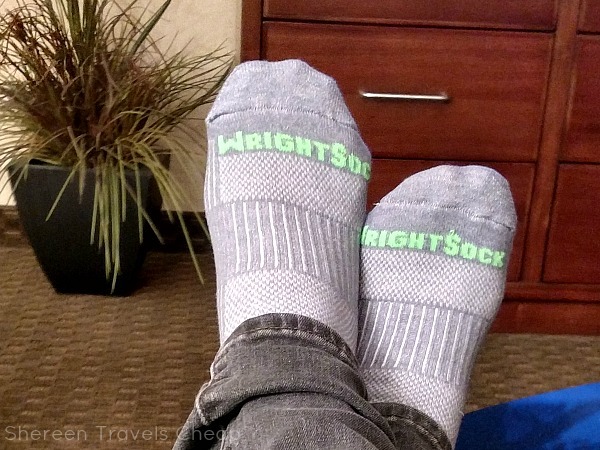 Since you only have one pair of feet, you're going to want to treat them better when you travel and Wrightsock has you covered, literally. 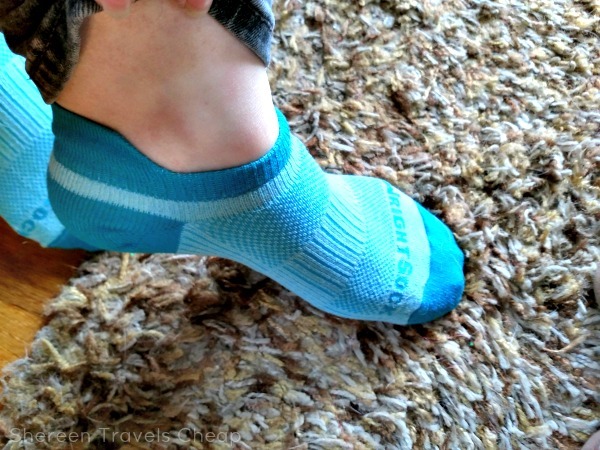 Their performance socks were designed for runners and hikers, and makes them ideal for travelers who maybe do those things on vacation, or just walk several miles a day sightseeing like I do. Wrightsock realized that travelers loved their socks as much as athletic folks, when they found out a good portion of them were purchasing them from their local outdoor store. I'll be honest. I always thought it was my shoes that were the problem. While that might be partly the issue (they either fit incorrectly, don't have good arch support, or haven't been broken in properly), since I've been wearing these socks, I've found that my socks (or lack of) maybe have played a big role in my hurty feet. Wrightsock guarantees no blister in all of their stocks and styles. Well, who can say no to that? 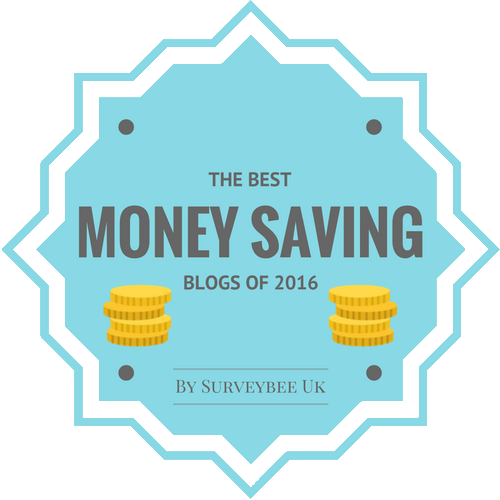 If you get a blister or are unsatisfied for any reason, they have a 100% money-back or replacement sock guaranteed. I had to try them for myself and went home from the Travel Goods Show with several pair to test out. I enjoy these ankle socks, because they work with all my walking shoes and it doesn't matter what color they are, because they barely show. Also, see that ribbing around the middle of my foot? That's a stabilizer zone that keeps the sock from sliding all over like other socks can do. Genius! All the other ankle socks I've had have either rubbed on the back of my heel or have just given up and scrunched under my heel, which is the absolute worst! As you can see, these socks don't show with my shoes that I wear for work (where I am constantly walking back and forth in a warehouse and lifting boxes). Not only that, but they have that nifty notch for my ankle bone, so it eliminates friction there as well. As you can see, they go along the natural line of the shoe and the line of your foot. Runners won't end up with scrunch or slouch, and walkers won't either. 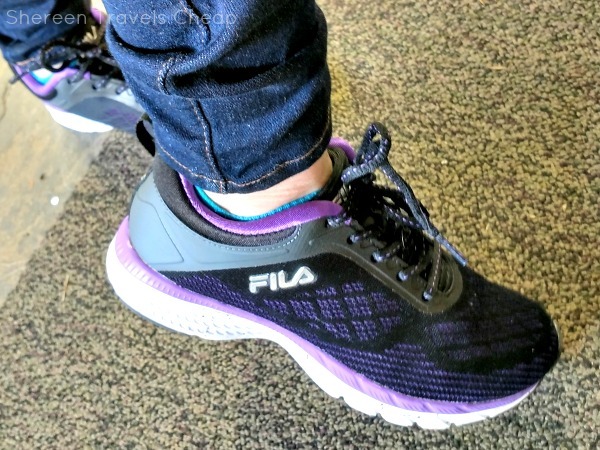 Your foot stays nice and dry, no matter how much activity you are engaging in too, because the sock is comprised of mostly Dri-WRIGHT, which wicks the moisture from your foot. My feet don't sweat at all, and when it is cold, they keep the heat in. 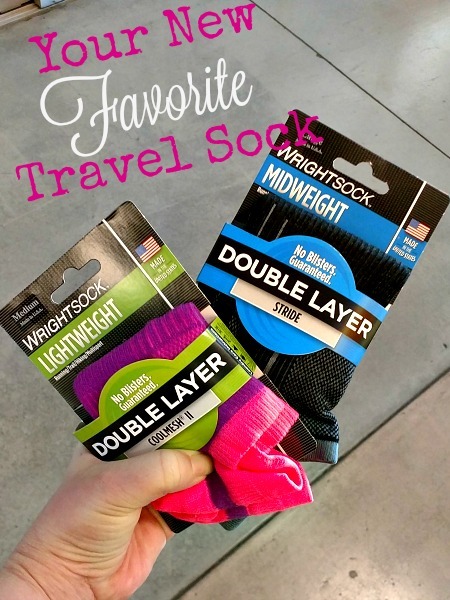 Wrightsock uses a double layer system, so it's like you're wearing two pair of socks. These two layers are knit together at the ankle and toe, but are free within the rest of the sock, which is what give it its blister-free feature. These two layers also release moisture and excess heat; two things that also will cause blisters. You don't just have the option of buying the ankle sock in varying classic colors, though they do come in the fun pink as shown at the top and a blue that is just as vibrant, but they have taller socks as well. In fact, I came home with a pair of pink striped crew socks as well, and they are just as awesome, but keep my ankles warm (though not too warm) in the cold weather we're still having. So, whether you want to wear them for running, hiking, sightseeing or everyday use, these socks won't let you down. I've only been wearing them for the last two weeks and I have not been disappointed. I think Eric is going to love his on our trip to Vegas in July, so I should probably order him a few more pairs. 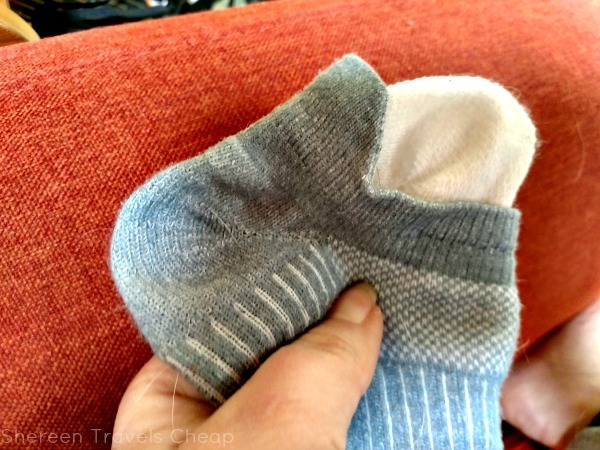 Have you been looking for a good pair of travel socks? If so, I think we have a winner! How much are they? $13+, depending on the style. The Coolmesh II Tab I'm wearing is $13. What colors do they come in? All the classics and a bunch of fun colors and stripes as well. What else do I need to know? Come in sizes to fit size 4 in women's up to men's 14 (US), made in the U.S., mix of Dri-WRIGHT, nylon and lycra. Disclaimer: I was provided with several pairs of Coolmesh II Tab socks for the purposes of this review, but all opinions are 100% my own.